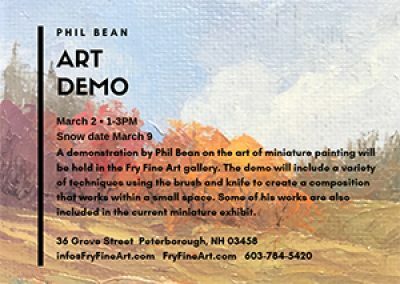 Join us here at Fry Fine Art gallery for a demonstration on the art of miniature painting. works within a small space. Some of Phil’s works are also included in the current miniature exhibit.